What do you call someone who loves gulls? Crazy? No, no, no. 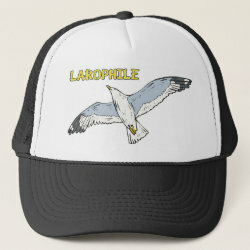 One who enjoys watching and identifying gulls, aging gulls, and combing through congregations More... of gulls would be a LAROPHILE. 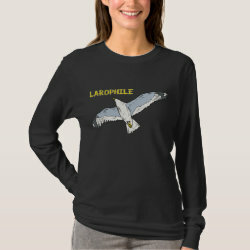 This design features a generic grey gull flying overhead along with text "Larophile". 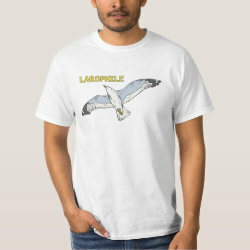 This original design makes a perfect gift idea for gull-lovers everywhere!